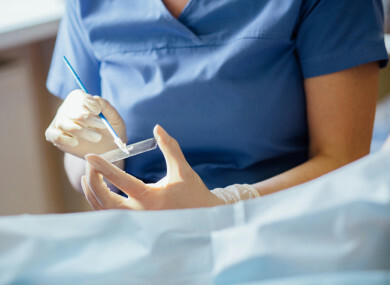 THE HSE HAS said negotiations are ongoing between the Executive and two laboratories which examine more than 260,000 smear tests a year under the CervicalCheck screening programme. The existing contracts with Quest Diagnostics in the US and MedLab Pathology in Dublin are due to expire this month. A spokesperson for the HSE said “intensive negotiations are ongoing in relation to the extension of the contracts with both laboratories”. RTÉ News has reported that a key issue is the laboratories securing new insurance to cover the backlog of CervicalCheck tests to be done and for future testing, given the recent controversy involving the programme which has led to a number of legal claims and settlements. The scandal came into the public eye in April when Vicky Phelan, who has terminal cancer, settled a High Court action against the HSE and Clinical Pathology Laboratories for €2.5 million over incorrect smear test results from 2011, which incorrectly said that her smear was free of abnormalities. The smear tests of more than 200 women may have been incorrect, a HSE audit found, and there has been much criticism over delays in telling those affected. Dr Gabriel Scally, who conducted a report into the controversy, last month said he was satisfied with the quality of testing done in the laboratories which provide CervicalCheck screening services. Email “'Intense negotiations' ongoing between HSE and CervicalCheck labs before contracts expire”. Feedback on “'Intense negotiations' ongoing between HSE and CervicalCheck labs before contracts expire”.